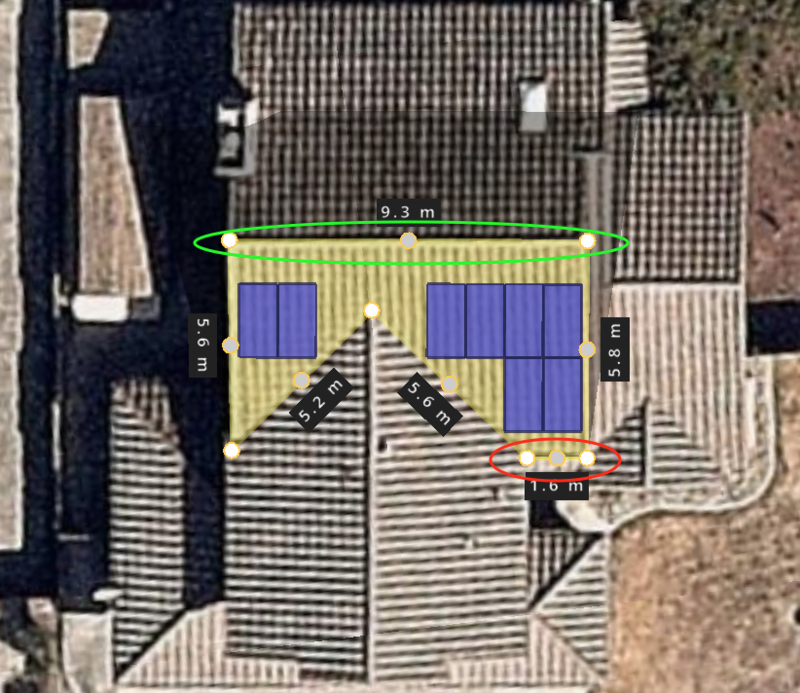 To automatically align modules to face the side of a Field Segment, right-click the grey circle at the middle of the Field Segment line, and click Set Azimuth to ____. The modules will be oriented to face that edge of the Field Segment. For flush mounted arrays HelioScope allows you to automatically set the azimuth so modules face the side of a field segment by setting the bottom edge of the roof or the top edge. Right-click the grey circle at the middle of the Field Segment line and click Set to Top Edge or Set to Bottom Edge. Setting the Top Edge (aka Ridge) of the roof will tilt the modules away from that edge while setting the Bottom Edge (aka Gutter) of the roof will tilt the modules towards that edge. In this case, the "front" of the roof is just a short edge on just one side of the bisecting roof (circled in red). These short lines generally don't work well for setting the orientation of the entire plane. Instead, in this case, you would want to use the ridge line (circled in green) to set the azimuth, using "Set to Top". Of course, in simple roofs that are rectangular, both options will work! 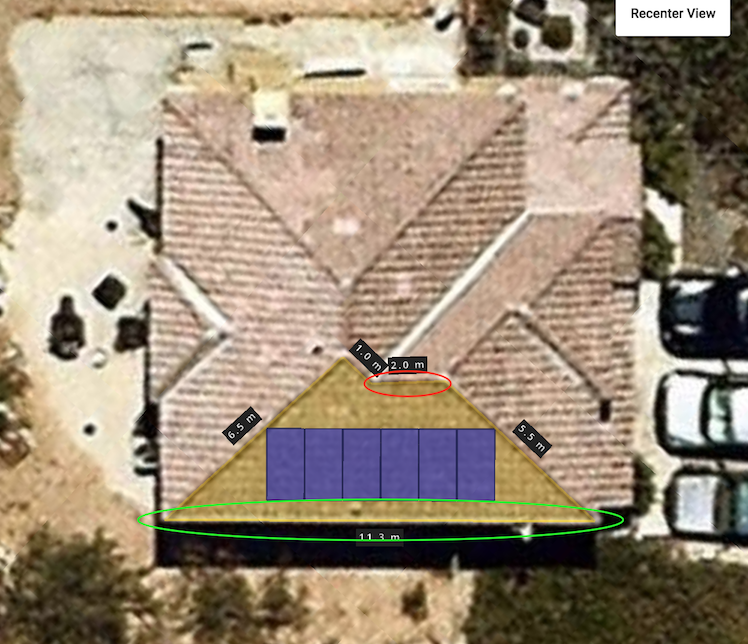 And if used correctly (Top for ridge, Bottom for gutter), will produce the same azimuth angle.